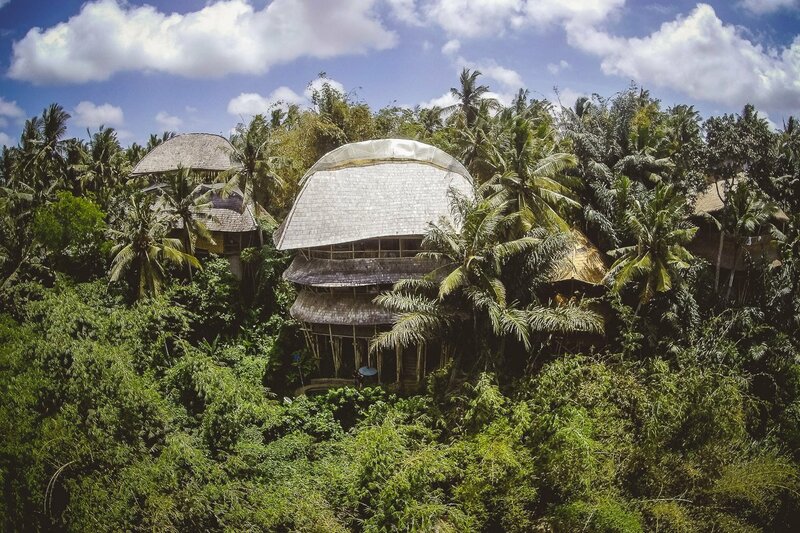 The Green Village in Bali close to the Ayung River offers sustainable and comfortable lifestyle to nature lovers, entrepreneurs and celebrities from all over the world. 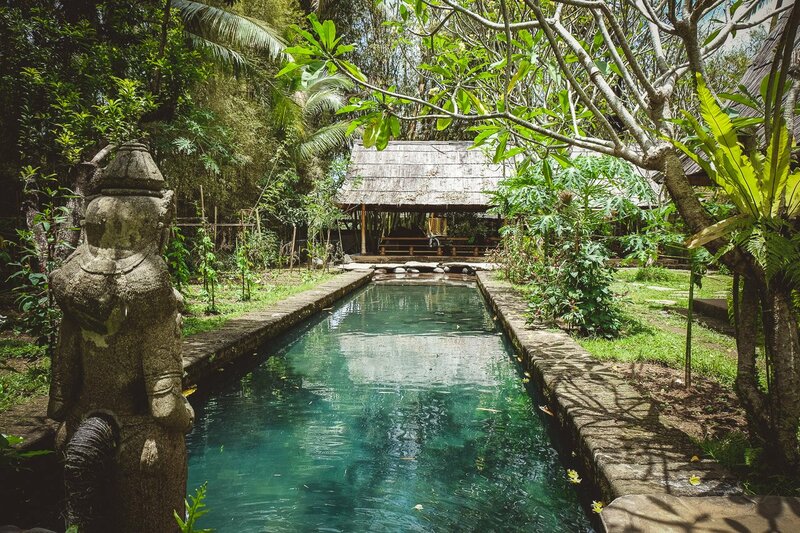 Elora Hardy, daughter of the Canadian jewelry designer and visionary John Hardy, grew up in Bali and learned to appreciate and love the exceptional (artistic) skills of the Balinese craftsmen. 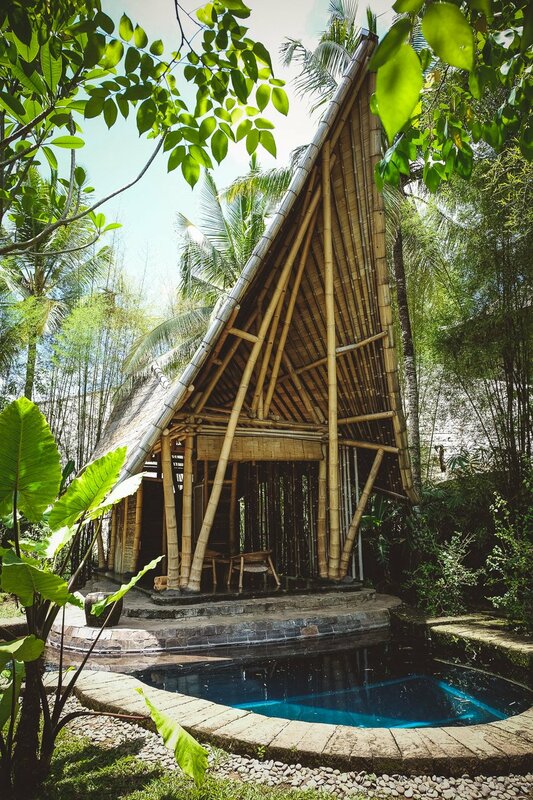 She founded her own design company Ibuku in 2010. 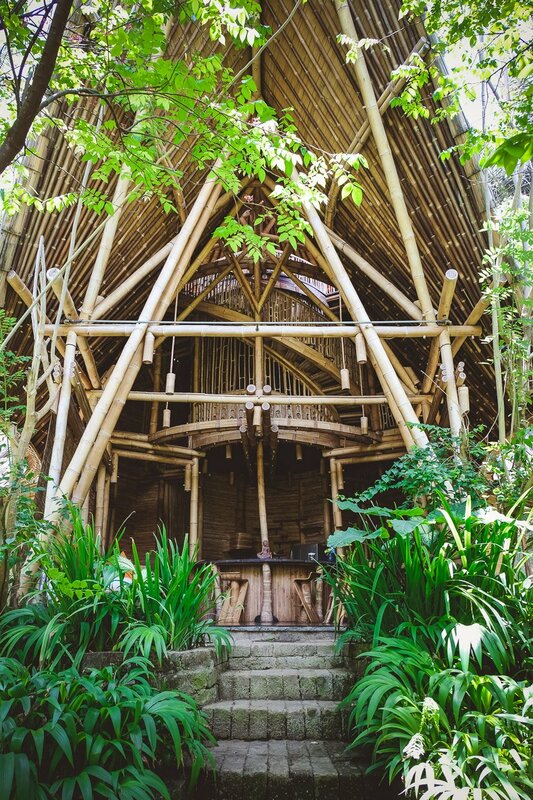 With this amalgamation of craftsmen, architects, engineers and designers, she would like Bali to become a global center for sustainable design. 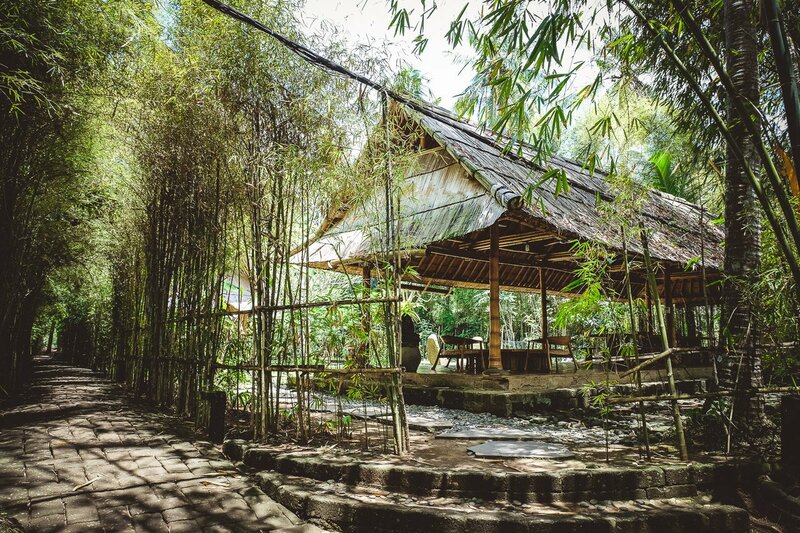 The Green Village was created in collaboration with her father, who also founded the Green School in 2006. 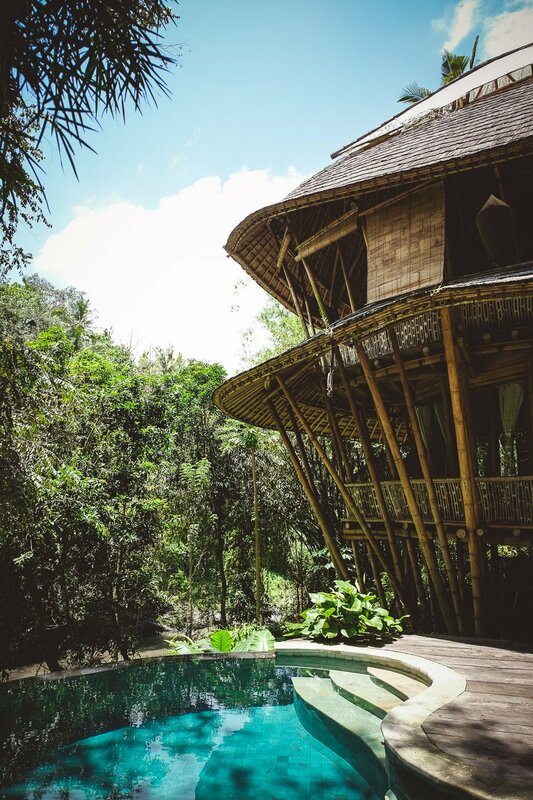 Today it offers sustainable living in twelve unique and exceptional bamboo villas. 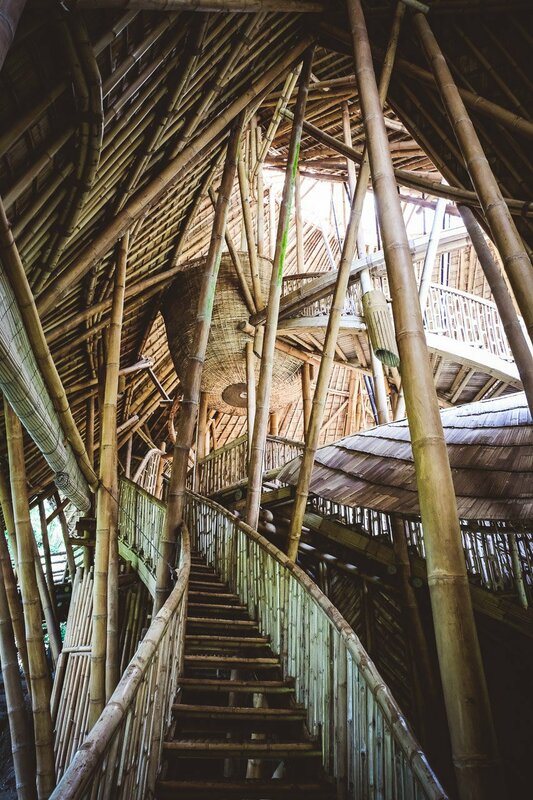 For the construction of the bamboo villas, no plans were drawn, but instead, they made models from bamboo. 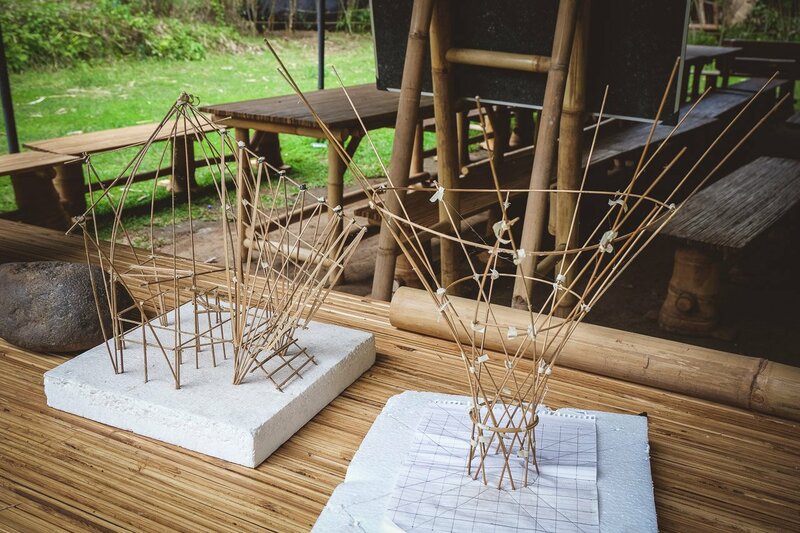 You can even learn how to build the models and bamboo houses in workshops that they host (Model Making Class + Bamboo Construction Workshop). 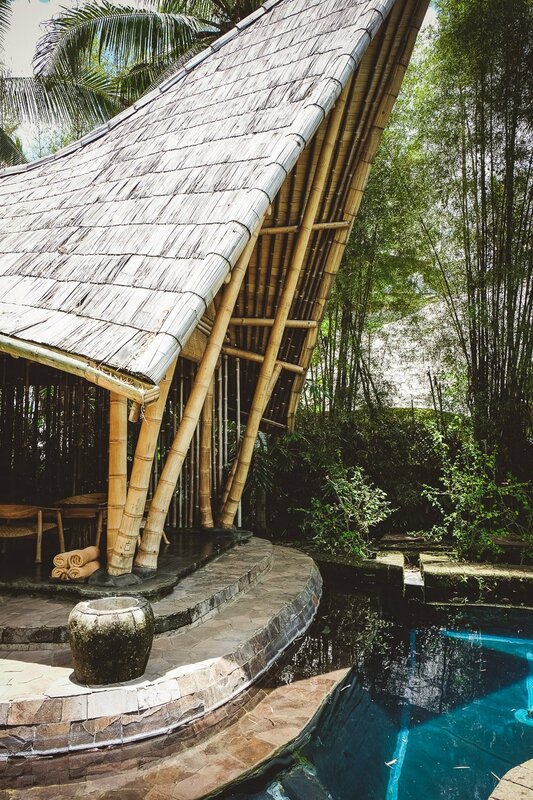 Bamboo is one of the world’s most sustainable and versatile building materials with a steel-like tensile strength. 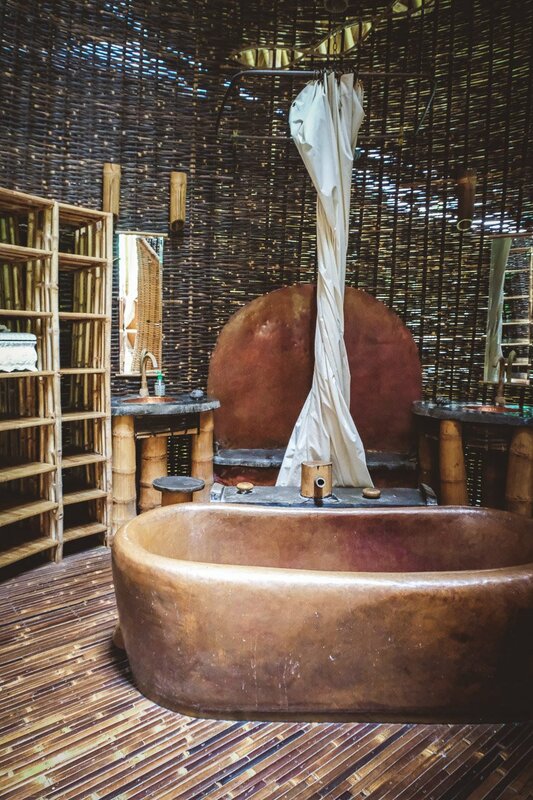 After only three to five years of growth, it is ready to be used. 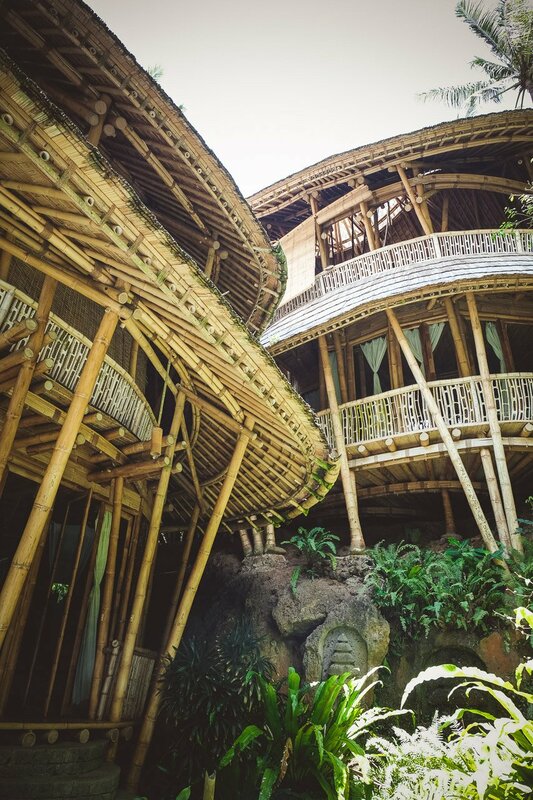 In Ibuku’s bamboo factory, Balinese and Javanese bamboo are prepared for construction by undergoing months of special preserving processes. 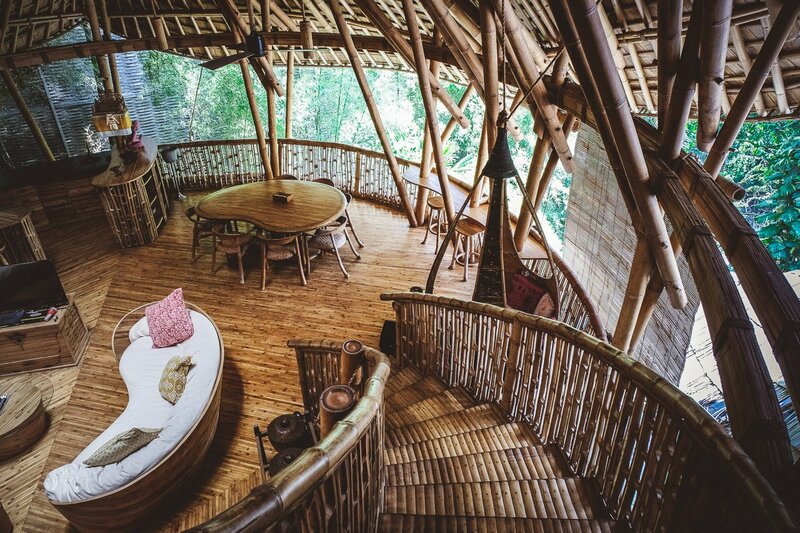 A house built from bamboo can last a lifetime. 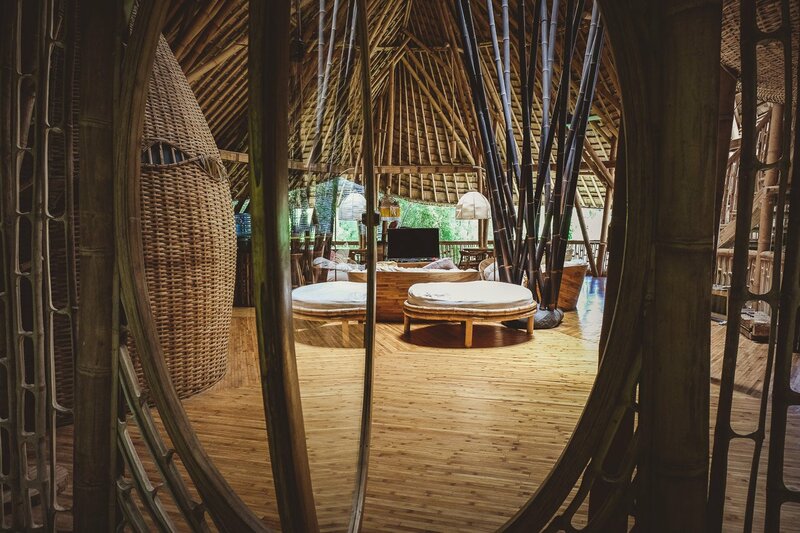 You can buy or rent these gigantic and beautifully designed bamboo houses. 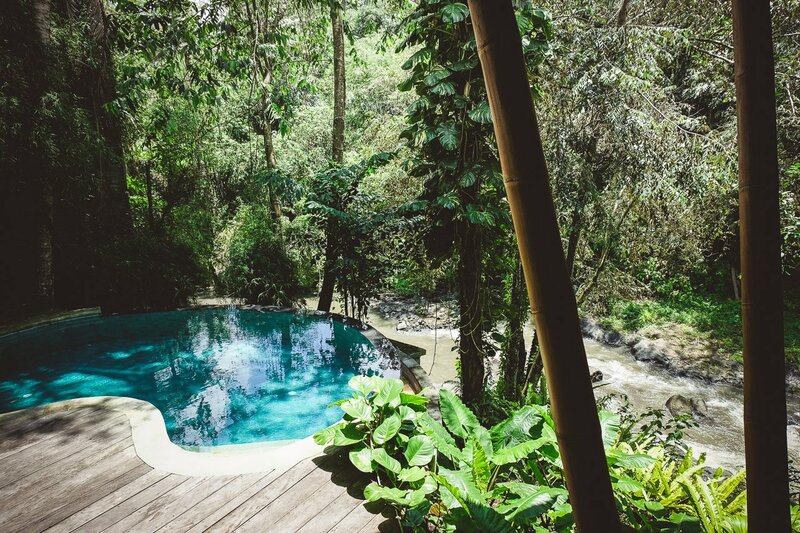 Who would not like to live in such close proximity to nature? 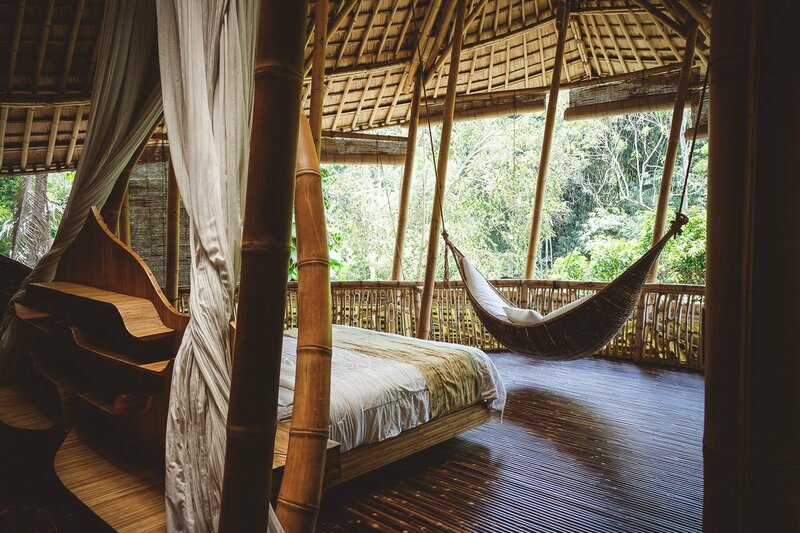 For us, it would certainly be a dream come true. 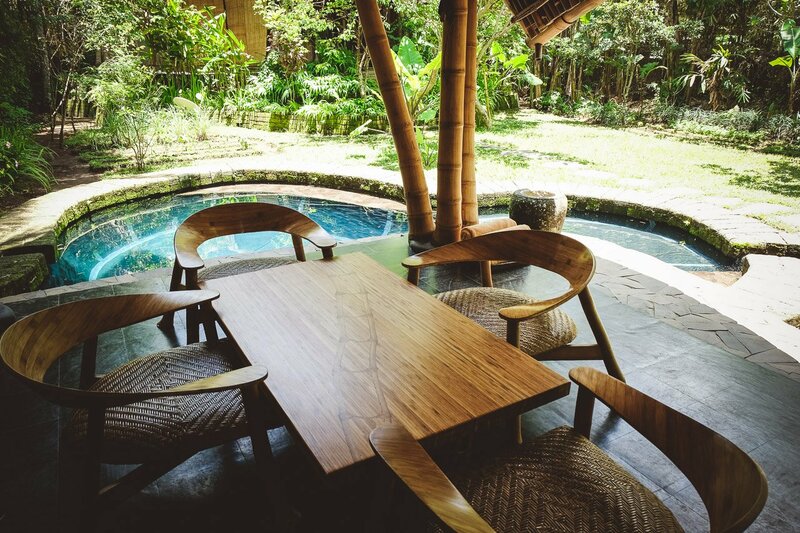 The furniture and the complete interior are handcrafted from local, natural materials. 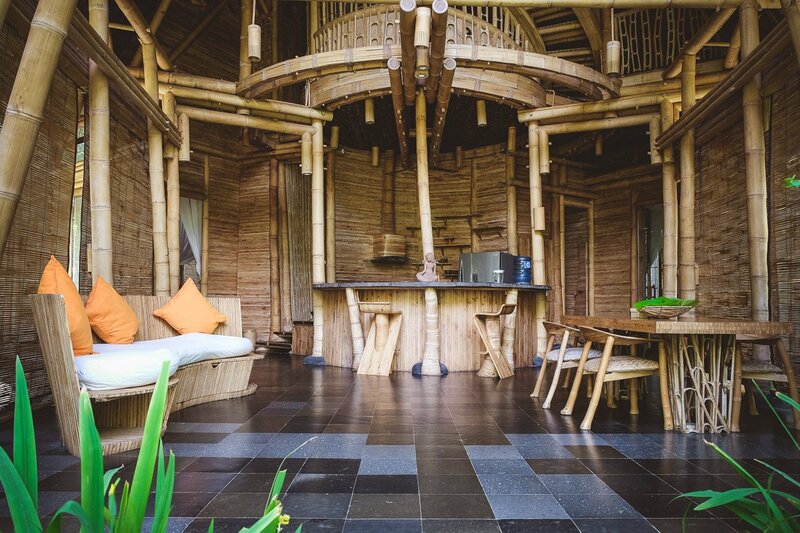 The villas offer unique design, comfort, a lifestyle amidst beautiful vegetation and with the open design, a lot of daylight and at the same time, many refined design elements. 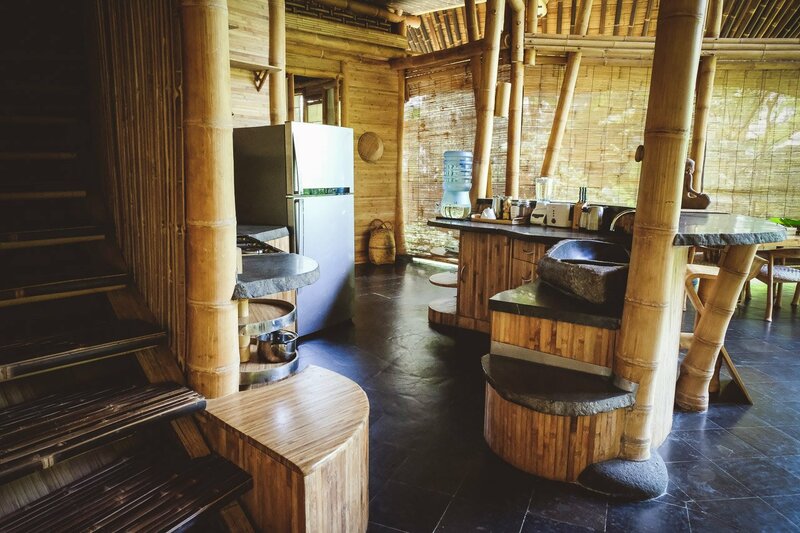 The Green School, Green Village and Bamboo Factory can be visited on a guided tour. 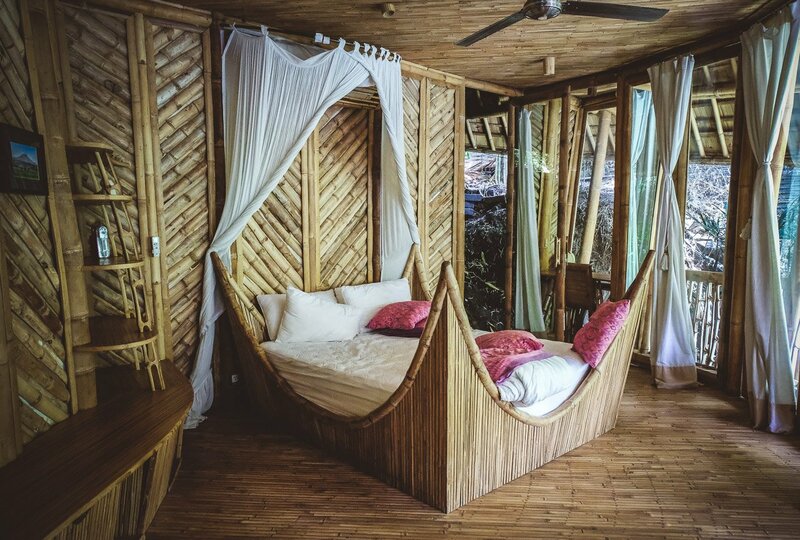 Extremely interesting! 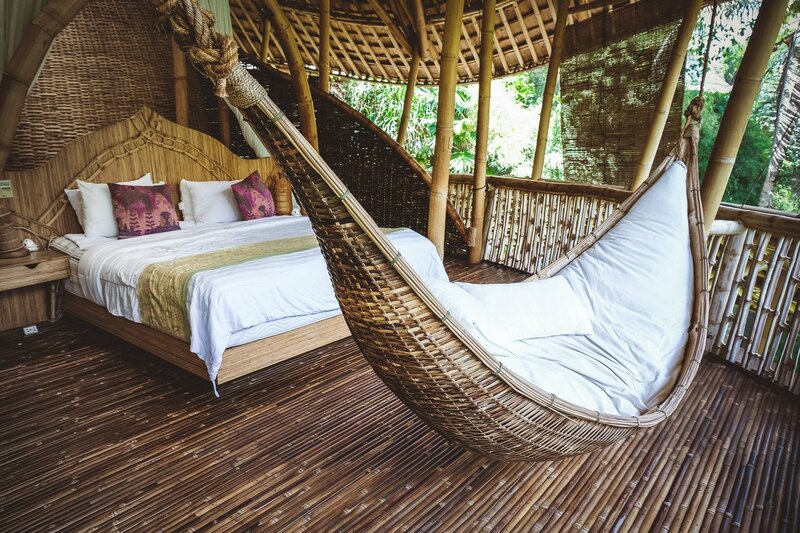 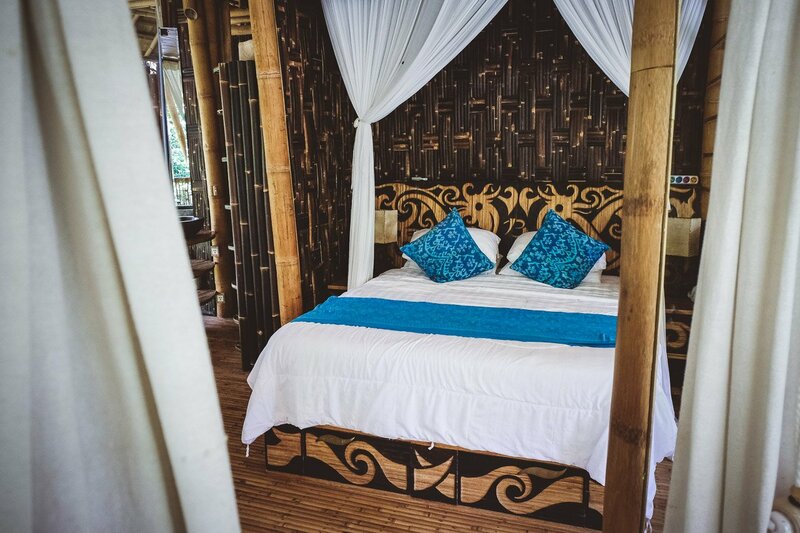 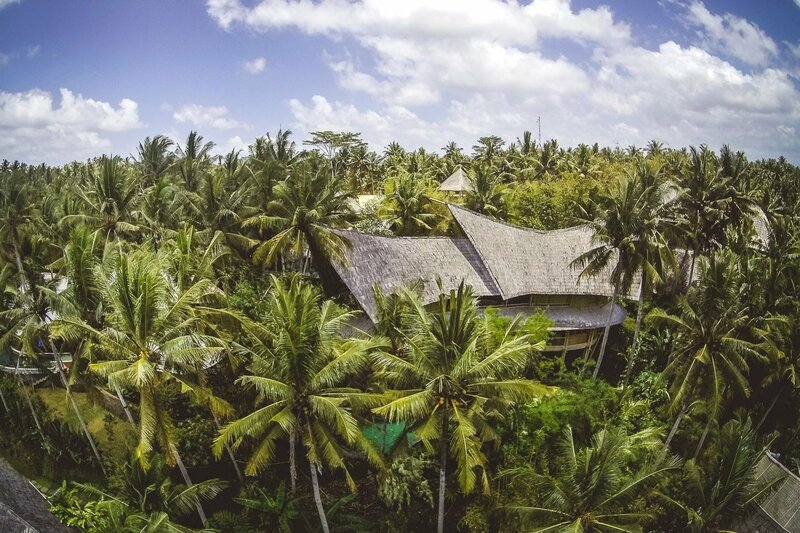 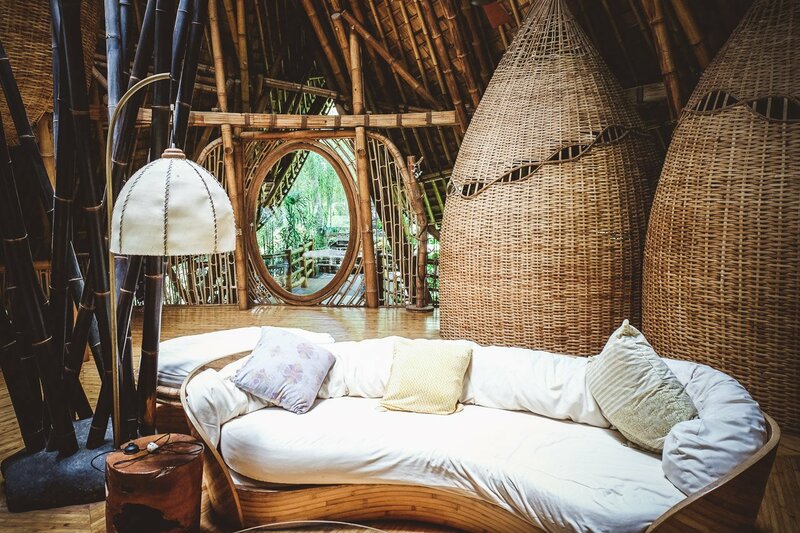 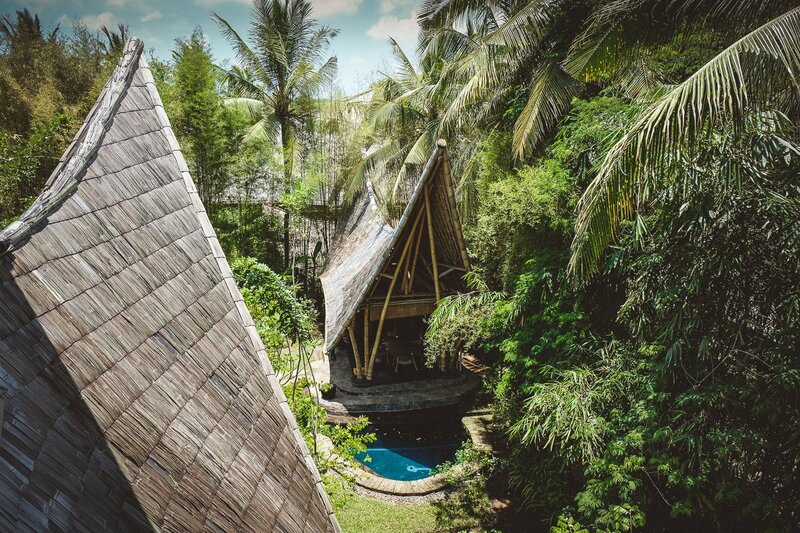 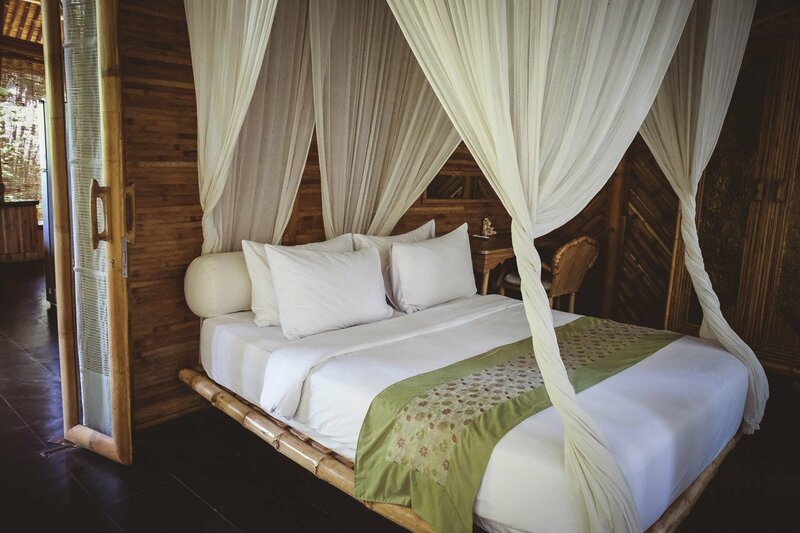 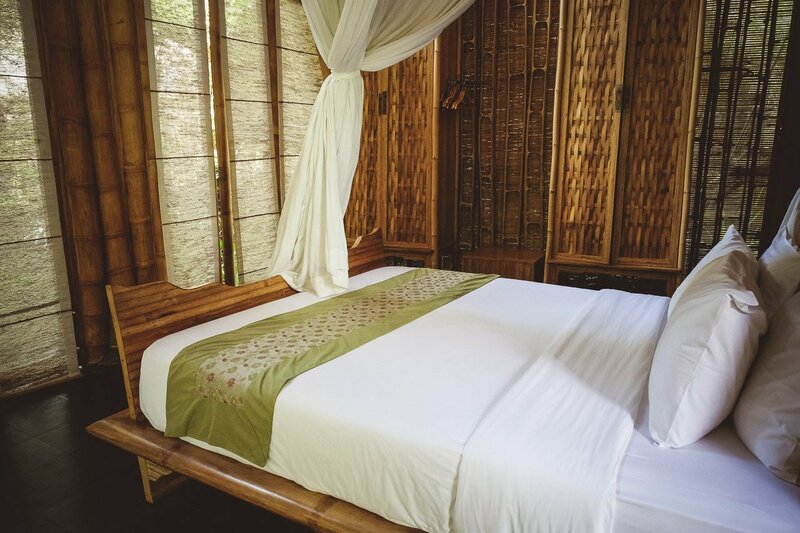 An overnight stay at the unique eco-boutique hotel, Bambu Indah, by John Hardy, is definitely not to be missed. 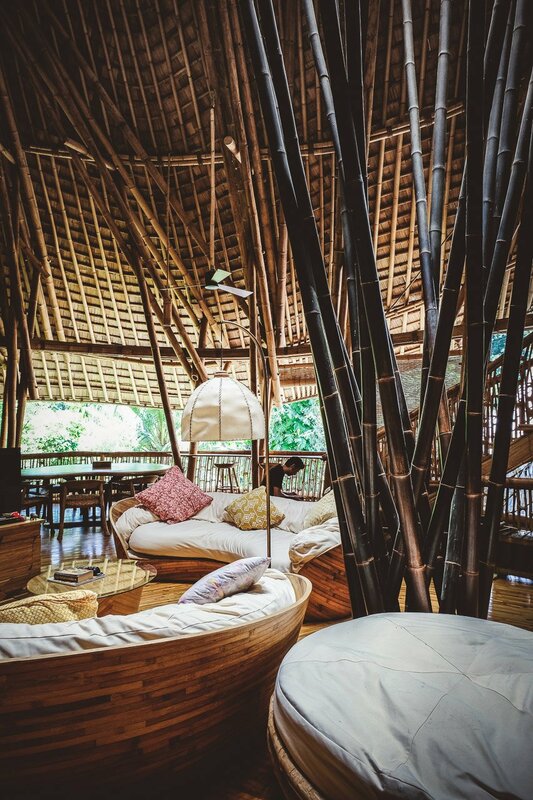 Elora Hardy also designed the new bamboo tree houses. 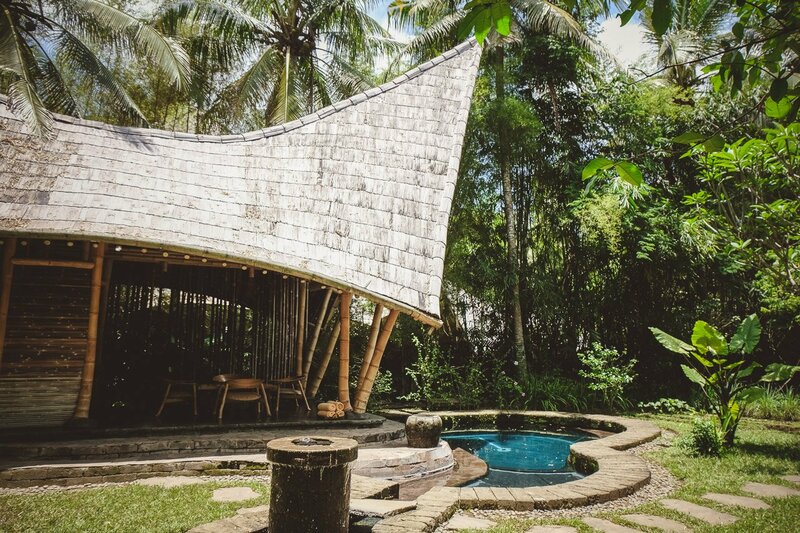 You can also book these extra-ordinary villas at Airbnb. 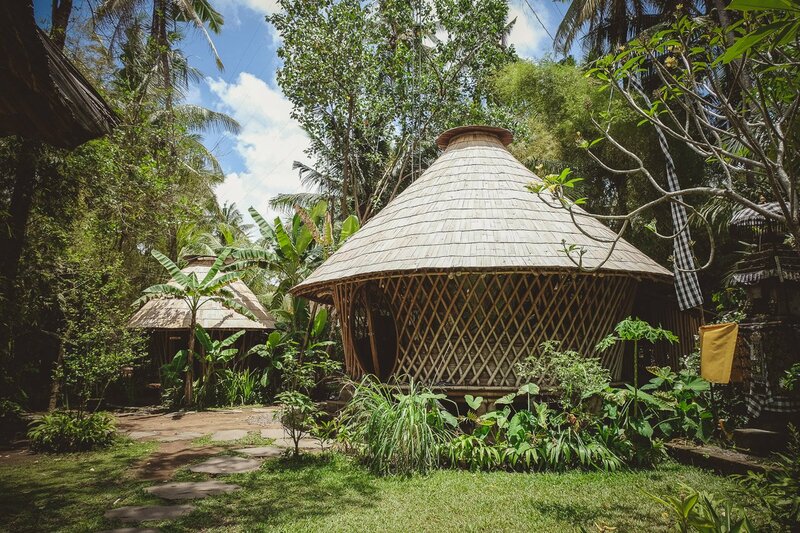 Please note: We funded our Green Village Tour ourselves.